Ansell Microgard was formerly known as Orvec Ltd. Ansell Microgard was one of the first manufacturers of life protective workwear. Since 1975, they have been developing new technology and designs to improve their products especially in the wearer's protection and comfort. 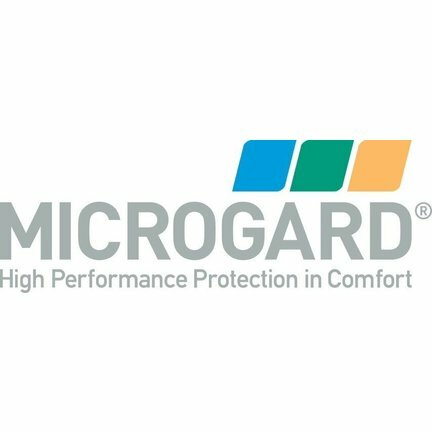 Microgard products protects you even when working with liquid or solid chemicals, asbestos, paint, oil, grease, viruses, blood borne pathogens, or other countless workplace contaminants. Ansell Microgard products follows a standard and meet European Norms specified in Category III of the PPE directive for chemical protective workwear. Their products are also under an ISO 9001 quality control system. The Microgard 1500 size M is an overall used for the removal of asbestos, the overall filters up to 0.03 micron and protects the user from harmful substances.